Women in New York City have busy schedules that allow them to accomplish a wide range of tasks on a daily basis. Spending a long time in front of the mirror every morning isn’t on the top of the “things to do” list. Most women in New York City need to keep their morning routine down to a minimum amount of time. Spending a long time creating a specific hairstyle every morning is out of the question. If you are one of these busy women, check out the style options below that will help keep your prep time down. A blunt lob that rests just above the shoulder is a flattering style for almost everyone. You can choose to keep it sleek and straight or use a curling iron to add some waves. The shag was a popular hairstyle in the 1970’s and it’s back and better than ever. Bangs give it a flattering style for most face shapes. It gives you the option to wash and go in the morning or put it in a ponytail, bun or braid. Let your natural curls have the spotlight with this easy style. Focus on keeping your hair properly cared for to reduce frizzy days. You can wear your hair down or in an updo allowing your curls to frame your face. Mid-length hair frames the face and provides a variety of style options. Wear it straight and sleek, curly, or wavy. Allow your natural style to shine through and create your signature look. A pixie cut is an excellent option for the busy woman that only has a few seconds to spend styling her hair on a daily basis. You can choose to have shorter or longer bangs to create the style that expresses the real you. This sleek modern one-length bob is flattering on most people. Allow it to hug your chin to create a classic everyday style. This is an excellent option for those with naturally straight hair. This A-line bob can be parted on the side or down the middle. Allow natural waves to enhance the look or use a curling iron to create waves. This easy to create style will keep you looking stylish all season. This blunt cut looks extraordinary with graduated layers in front that frame the face. This wash and go look allows you to feel stylish all day long. Even a windy day can’t mess up this modern look. Show off your healthy thick hair with this one-length cut. This timeless style will take you through fall and winter easily. You can choose a modern updo or slick it back in a high ponytail when you are in a rush. It doesn’t take much effort to take care of and you can let it grow as long as you desire. On date night, use a curling iron to add loose waves for extra body. 50 shades of layers! Actress Dakota Johnson rocks this effortless style. The bangs accentuate the eyes and frame the face while the layers add texture. The side bangs bring attention to the eyes as the length frames the face. You can wear this style down or choose a popular braid, ponytail or updo. This wash and go look is an excellent option for women that want to show off their natural waves. This easy style frames the face allowing your makeup to take center stage. You can part it down the middle or on the side to change the look from day to day. Allow your hair to air dry and swish your hair to the side allowing it to fall wherever it lands. This style is a great option for curly, straight and wavy hair types. Part your hair on the side and go. This easy hairstyle can adapt to any situation. You can wear it up, down or throw it into a ponytail or top bun. This flattering hairstyle is suitable for almost every face shape. The classic bob never goes out of style. If you are undecided about what type of quick and easy hairstyle to have, this is it. You can wash and go allowing it to air dry. Tuck it behind your ears as it shows in the picture above to expose your face and keep the hair out of your eyes. You can wear it in an updo, ponytail, braid or use accessories such as headbands to create a new look every day. Once you find the right fall haircut for you, think about the color. Do you want to return to your natural color or try something bold? The classic bob and lob styles are perfect for lowlights or highlights. Start them at the cheek bone or frame the face for added dimension. The sleek classic bob is perfect for solid black, blonde, red or brown hair. Welcome, the fall season with a new cut and color. Contact your hairstylist today for an appointment. 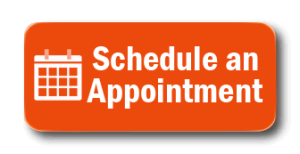 Interested in scheduling your haircut appointment in Tribeca, NYC? Contact Ethan Rose Salon today. ETHAN ROSE SALON IS CONVENIENTLY LOCATED NEAR 5 HARRISON ST, NEW YORK, NY 10013. PLEASE CALL US AT 212-233-1379.